NLPFM shortlisted for Awards 6 years in a row! The Professional Adviser Awards, now in their 14th year, celebrate the knowledge, skills and commitment of financial advisory businesses throughout the UK. 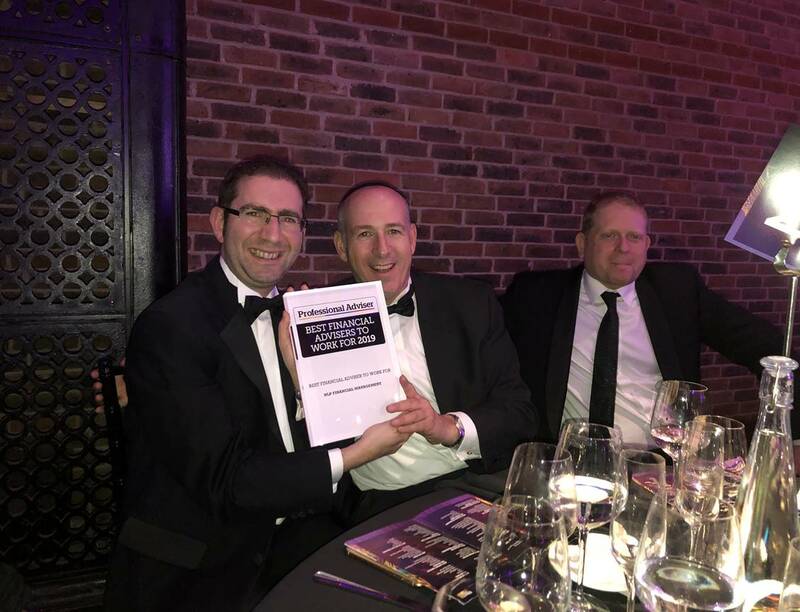 Last night (7th February) saw NLP Financial Management (NLPFM) receiving our certificate for being named “Best Financial Advisers to Work for 2019”. There were only 14 companies in the whole of the UK who received this accolade, underpinning our commitment to providing the best possible environment and services for our staff, as well as for our clients. We were also shortlisted for “Adviser Firm of the Year – London” which is now our 6th year in a row, and we are delighted to be the only firm in London to be consistently shortlisted for such a long period of time! Pictured is Consultant Elliot Gothold, Managing Director Adam Katten and Finance & Operations Director Lee Pittal.